We're now on the morning of Stage 6. I'll stick to the bikes for this post, there's just too much going on! If you thought the first 3 days were eventful, that was nothing. Poor Sam Sunderland suffered an engine failure of his HRC Honda CRF 450 Rallye at the start of Stage 4 and was forced to retire. He will be back, and I have no doubt he's capable of a top 5 finish, definitely one to watch and a great effort from him despite his misfortunes. Stage 5 from a fan's perspective can only be described as bedlam! It seemed nobody had a clue what was going on, riders were missing waypoints all over the place, going back for them, running out of fuel as a consequence and all sorts. While all that was going on, we also had riders with malfunctioning Iritracks, so some riders such as Helder Rodrigues appeared to be non-starters according to the live waypoint tracking, but popped up at the Special Stage finish with the others. When I say others, there weren't that many. 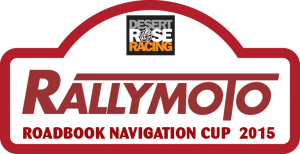 196 riders started the Dakar, only 118 of them started Stage 5, of those hardy souls, only 92 will start Stage 6 this morning. Paul Jay, our last remaining British rider and Malle Moto hero tweeted last night to say that he was out in the dunes with a bike that was failing to start (and had been for the last 8 hours) and a shortage of water. Needless to say we all hope he can stay safe and continue as soon as possible, very well done so far Paul, dig deep! Up at the front, Paulo Goncalves (current FIM Cross Country World Rally champion) watched in dismay out on the stage, when his HRC Honda went up in flames. Well known as one of the nicest guys in the game, who always stops to help anyone, sadly no-one stopped to help him and he is now out. The same fate befell Farres Guell's Gas Gas - up in flames. David Casteu fell yesterday and broke his collarbone. He still plans to ride, but how far he gets is anyone's guess. That's dedication! Robert Van Pelt, the 20 year old Dutchman and Malle Moto rider had an outstanding run yesterday, finishing inside the top 10 for the stage. Riaan Van Niekerk, the South African enduro rider also finished very strongly, well done guys. And so, onto the front runners. Marc Coma disappeared from the live tracking for some time, and amongst all the chaos of missed waypoints, we assumed he was caught up in it too. Not so, it seems Coma was one of the very few who managed to navigate successfully and in doing so amassed a huge lead over the others after the incurred time penalties for missing waypoints. Coma had in fact had a big fuel leak during the stage but somehow managed to control it and get to the end! Amongst the penalised riders were Cyril Despres and Laia Sanz (Dakar heroine), who suffered heavily with a 1 hour penalty, but they weren't the only ones - a huge number of other riders were caught out too. For whatever reason, Coma ended up winning the stage by over 40 minutes from his closest rival, Joan Barreda Bort, with 3rd place going to Chaleco Lopez, over 50 minutes down. Incredible stuff. The Dakar is a long race and we're not even half way through yet, so nobody can be written off just yet, especially not the likes of Despres, but it's going to be tough. There's no shortage of drama at this year's edition, who knows what will unfold over the next week (which will include another marathon stage).